Technology Transfer Offices are aimed at valorisation and spinning out technology. But what if that happens from within? Switching from a valorisation position to an entrepreneurial one makes sense but is not always the easiest road. 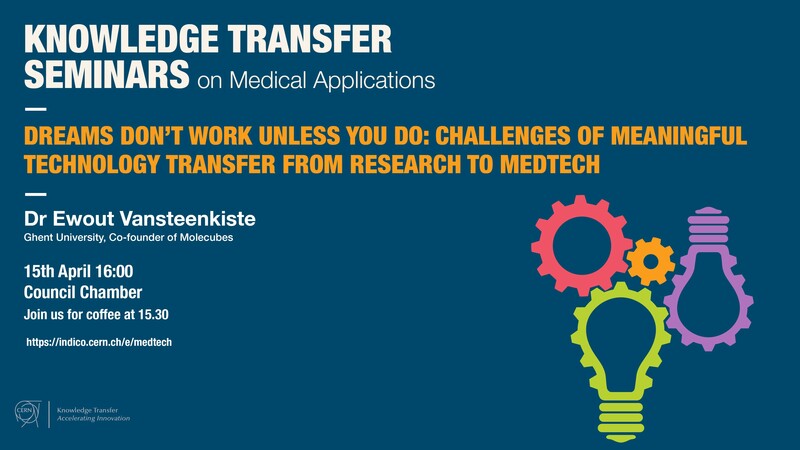 Based on the MOLECUBES case study, Dr Ewout Vansteenkiste will give a personal testimonial of what it takes to set-up your own company in the field of preclinical imaging and the growing pains of being part of as well as dealing with Technology Transfer departments, VC’s and Business Angels in the process.